Basher brings his signature pop-life style to a whole new topic in this one-stop guide to the building blocks of music. Meet Rhythm and Pitch, who know how to hold a tune; Time Signature, who loves to keep control; clever Chord, who works patterns to great effect; Brass, the powerful loudmouth of the instrument types; and Classical, Pop and Electronic from a crew of sweet characters. 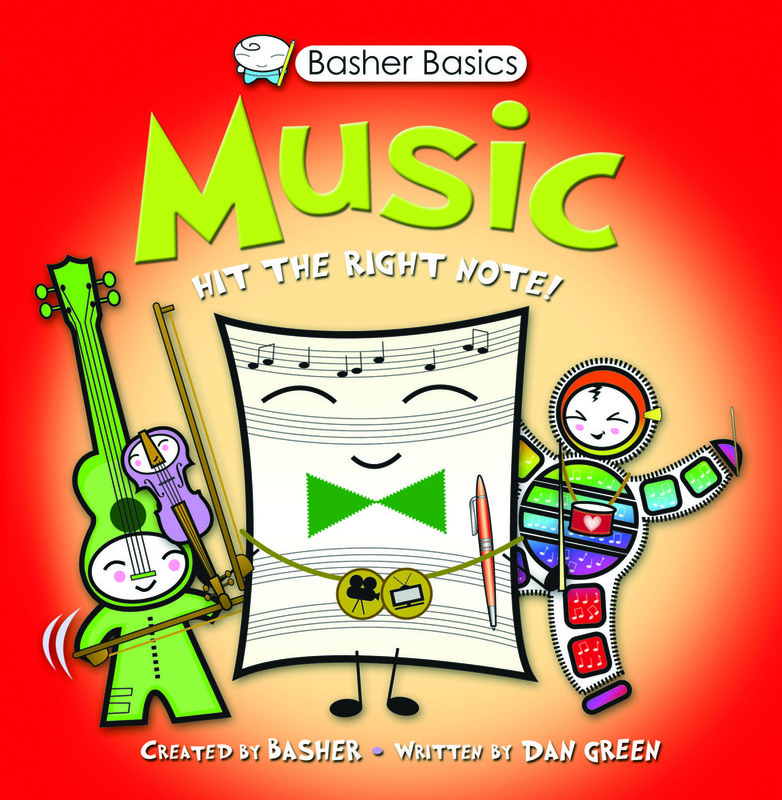 The personality-based explanations will make it easy to remember the essential concepts behind musical expression. You'll never look at the orchestra or listen to a piece of music in the same way again! 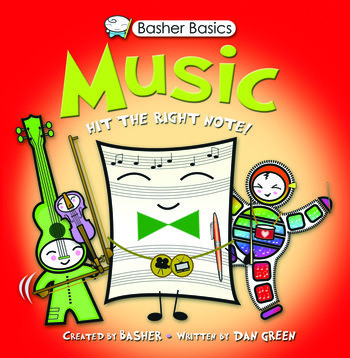 Simon Basher is the creator and illustrator of more than ten best-selling concept books for children including The Periodic Table, Physics, Biology, Astronomy, Math, and Punctuation. Based in London and Tokyo and specializing in "graphic surrealism", Basher's original artwork is regularly exhibited and sold in the UK, Europe, the US and the Asia. Find out more at www.basherworld.com.